Lock, Stock & Sparrow » New Year’s Here! Lock Stock and Sparrow have a feeling that 2016 is going to be an exciting year……..! We look forward to bringing you more stock (don’t forget to check on Facebook), colour suggestions and a little bit of, seen it here?….get the look with Lock Stock! Back from our holidays, eager to reopen, pleased that the shop doors hadn’t seized up and that the van started! First task was to go and collect the pieces that we had acquired on our way to Carhampton before Christmas. There is never an opportunity missed to source new items for the shop! 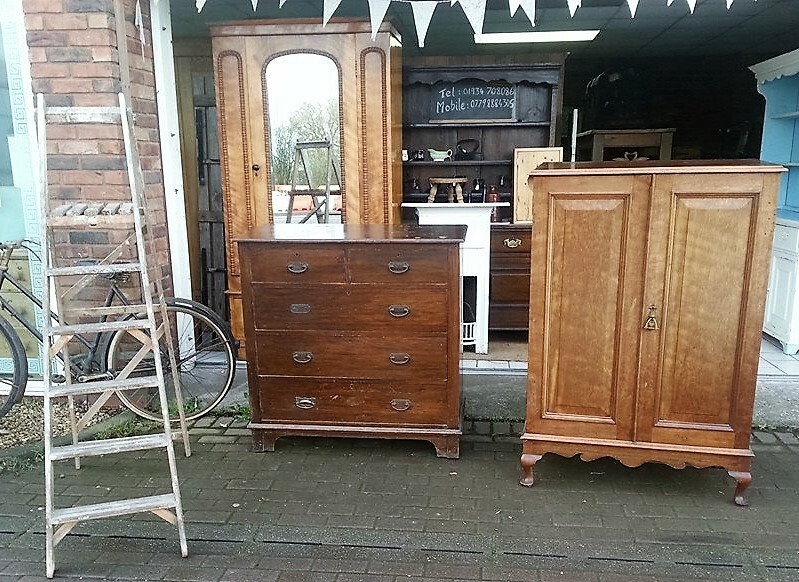 Mike couldn’t get it all on the van though so is going to have to make a return journey for a gorgeous stripped pine dresser and no doubt find some more treasures in the process! 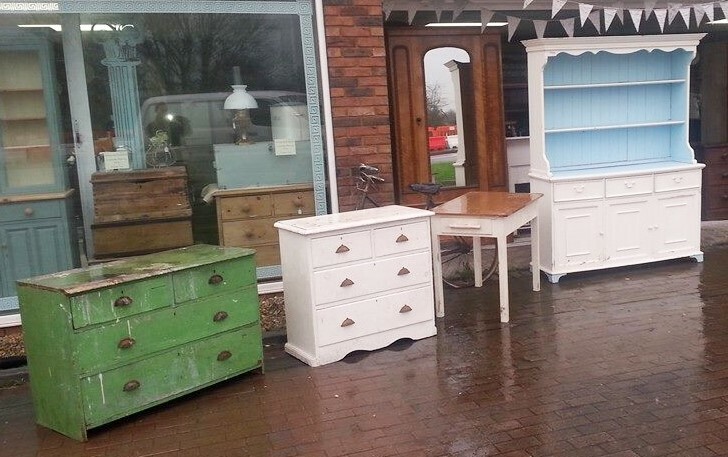 Shabby chic at it’s best, the green chest of drawers is nearly a match for Annie Sloan’s Antibes already – previously mentioned in my Blue Christmas blog. I have a chest of drawers in this colour with a dark wax finish and i love it. Antibes is not for the faint hearted but make’s a great statement piece for a kitchen or hallway. I wonder whether Mike will paint a different colour over the top of these drawers and sand back revealing the green underneath….? We will have to wait and see! 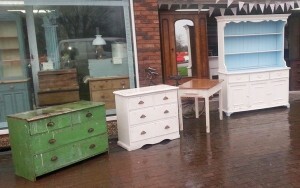 I have suggested a White Chalk Paint for the Linen Press – far right, 2nd pic. I think that white will give that feeling of clean crisp linen. 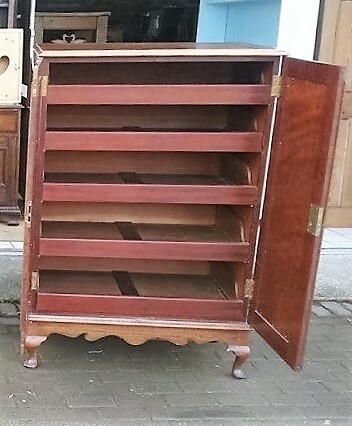 As you can see this piece also has the potential for a surprise cheeky colour inside when you open the doors…..Mike is going to be groaning because, I’ve just had an idea!! You definitely wouldn’t be rummaging through a cupboard trying to find the pillow cases that go with the duvet cover if you had this beauty! Someone did tell me a tip the other day though which is to put the sheet, duvet cover and pillow case inside the other pillow case for the set which i think is a fab idea….who knew!